WhatsApp for Android was recently updated to support voice calling between Android users. WhatsApp for iOS is also expected to gain the voice calling feature in just a matter of weeks, but it will have to work within the fenced-in iOS infrastructure. Now the WhatsApp team have confirmed that they will be bringing the voice calling feature to Windows Phone users. Unlike most other major applications, WhatsApp prides itself at being a truly cross platform solution. 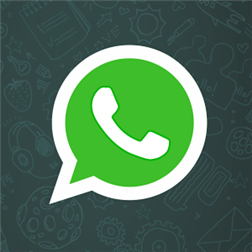 Besides its availability on iOS and Android, you can also find WhatsApp for BlackBerry, Windows Phone, Symbian and S40. The app is free to download and use for a year and contains no ads. However, you will have to pay an annual fee of 99 cents a year. While WhatsApp has not given an exact timeframe for bringing voice calling to Windows Phone, the company has been good at offering a consistent experience across all platforms. Now that Android users have the calling feature, and iOS is set to receive it soon, it wont likely be long before voice calling is offered on Windows Phones.